Consumer organisation calls on the UK Government to appoint a regulator to protect access to cash. Scots have been warned they could be left facing an "uphill battle" to access their cash following an "alarming" number of bank and cash machine closures. Research by the consumer organisation Which? found 339 bank branches in Scotland have closed their doors since 2015 - making the country one of the worst affected parts of the UK. Jenni Allen, managing director of Which? Money, said: "We have serious concerns that the alarming rate of cashpoint and bank branch closures risks leaving people in Scotland facing an uphill battle to access the cash they rely on." While consumers are increasingly using contactless technology, Ms Allen argued cash was still a "vital backup as fallible digital payments grow in popularity". Ms Allen said: "The UK Government must appoint a regulator to oversee these changes and ensure no-one is excluded and left struggling to go about their daily lives." Labour's Ged Killen has called for the UK Government to introduce a statutory duty to protect access to cash. 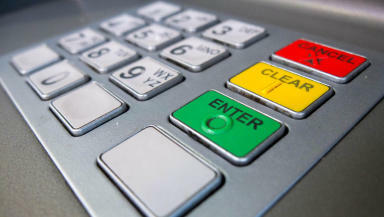 The MP for Rutherglen and Hamilton West has introduced a Private Member's Bill in the Commons that would ban ATM charges. He said: "The findings by Which? highlight the widespread closure of ATMs and bank branches, which has cut off relied-on services for huge swathes of consumers, in some cases leaving those with higher access needs such as the elderly or vulnerable with nowhere to turn. "The Government simply has not done enough to protect access to cash. Recent IT failures have shown that cash is a vital fall back when electronic systems fail." A spokesman for cash machine network Link said: "Link agrees with Which? that free access to cash is vital for consumers. "As payment habits continue to change and more customers shop online or use contactless cards, the UK needs to work out how to maintain cash access, including from ATMs and also from other outlets such as the Post Office and from retailers' tills. "Link's Financial Inclusion Programme is key to ensuring that the UK's cash infrastructure continues to deliver free access to cash for consumers regardless of the marked decline in cash usage."